As Talishan often says, mumble, mumble. I don't know that I'd add broccoli to his diet. If (IF) he has bloat, I wouldn't want to add broccoli to his mix of vegetables. And you're right about the calcium in spinach. I don't feed it at all. And incidentally, celery is pretty high in calcium. My own view is that I'd continue to feed the "wet" veggies, particularly if he's had dry poop. I'd maybe cut back on them a little bit, but I wouldn't cut them out. I also don't think much of the recommendation for acupuncture for bloat. 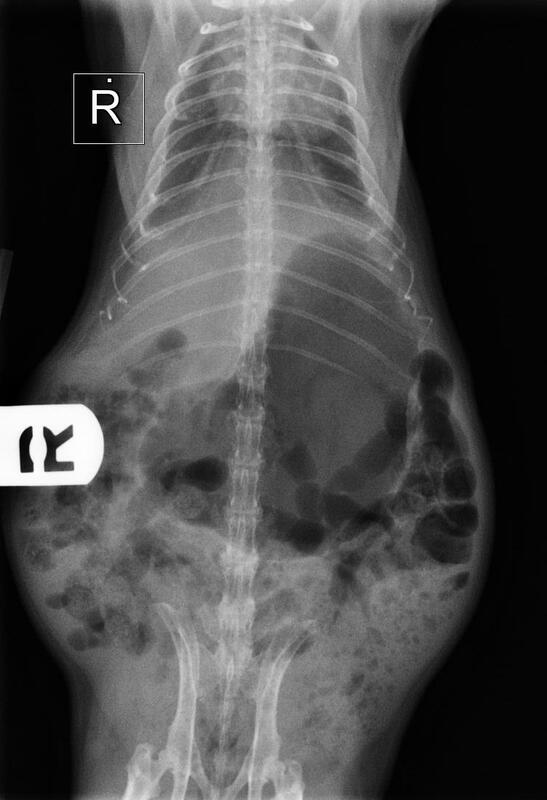 In fact, it's fairly common for vets who aren't guinea pig savvy to diagnose the normal stomach/intestinal contents as bloat. (You do realize Kuehlwein isn't a certified exotic vet?) I think you're on the right track with the massage, but there are other things that will help. Talishan is the expert here, and I'll let her weigh in on the drugs that may help. I think of what you are describing as mild gas vs. bloat. I think of bloat as excessive, serious gas. I would swap out the raisin for blueberries. Just a couple here and there. They are not excessively sugary. Perhaps someone else can comment on the metacam. It is sometimes possible to get a prescription you fill online or elsewhere. Looking around, it seems one can get it less expensively but sometimes you need a drug "now". I wouldn't go for acupuncture either. First, I think you're right. She might have said "gas" and I heard "bloat". I do remember her mentioning "several small pockets", which is why I now think she might have said gas. I should have the x-rays in the next day or two, and you can see them for yourselves. bpatters: She might not be a certified exotics vet, but she is familiar with heart disease in pigs. After some of what's been discussed here on GL, I think *that* impressed me. If she's NOT very experienced with guinea pigs, she has a monstrously big ego and the most confidence possible for a fake. I'll know more when we actually have time to really talk in depth (her manner and way of talking does make me feel easy about taking my pigs to her, at least for a while). Yesterday was apparently a "Free Dental Exam" day or week or something, and just as we arrived at mid-afternoon, the waiting room exploded and left behind masses of dental exam clients. As for the acupuncture, I've seen several members post about it, and some have said it worked for them. *shrug* Whatever, I'm only going down that particular road if everything else fails - the specialist is in Portland and we'll not be driving down there again soon unless dragged kicking and screaming all the way. I can do the massage, I have the heating pad and a vibrating pillow, simethicone (sp? ), etc. Diet: Glad to know I don't have to eat broccoli again. I only like it raw and drowned in Ranch Dressing - kinda defeats the purpose of eating it, right? ;o) Blueberries probably won't happen, Lynx. Since they can only have fruit once or twice a week, that equals 5 - 10 blueberries a week. They haven't eaten them when I've given them before. I do freeze blueberries, but pigs won't eat them that way, either. I'll keep trying, though. I guess they shouldn't have grapes either, then, huh? Raisins = dried grapes. Damn. We just don't eat a lot of fruits and veggies. Comes from growing up in Alaska where it was too expensive to buy many fresh things, and weather too lousy to grow them. I will continue to feed the 3 the "wet" things daily; Peek will get them once or twice a week, like the fruit (and poor Fuzz not at all). Metacam: The only things I've seen from Peek that are open to interpretation as pain symptoms are an even larger lack of pleasure at being picked up and his lack of much movement. Appetite is normal; poops are as normal as they've ever been; I think he has been drinking more water since VeBee joined the cage in June, but can't swear to that. Should I only give the Metacam if he's limping in some manner? or the above "normal"s change? 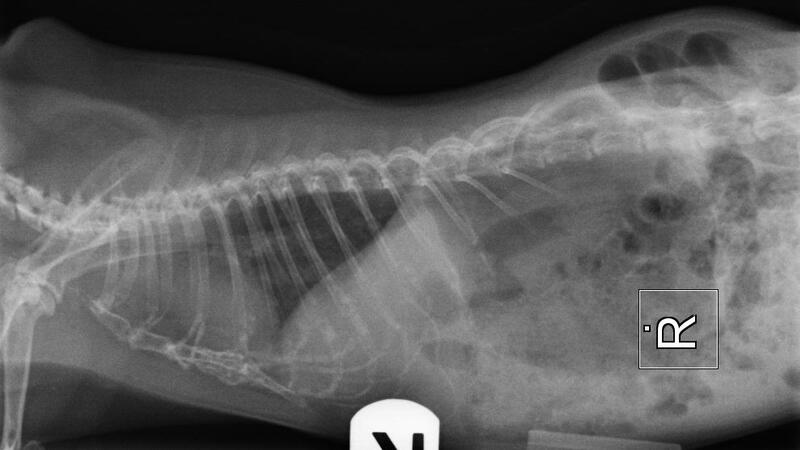 Vet said to only give him the metacam if he WAS eating and drinking normally, though. ?? And does the Metacam need to be refridgerated? Opened, unopened, or both? Does the bottle say anything about storage? Maybe call the vet? I googled it: doesn't need refrigerated. Lynx, I'd appreciate it if you'd make these permanent. Thanks. I emailed all 3 to you. They are all in original format (vet's original), I've not made any changes except for the name. Eeeps. I did not resize them. Hope people can see them okay! Heeheehhee! I didn't realize it either. Oh well, anyone who wants a real look will appreciate the detail. Yes. Hers is three times as strong as his. Keep the Metacam up for at least a few days. I need to look at the x-rays on a full computer. Hopefully can do that tomorrow. Thanks, Talishan. No wonder he was peppy. I'll reduce the dose if I use her's again. There's some gas in there. 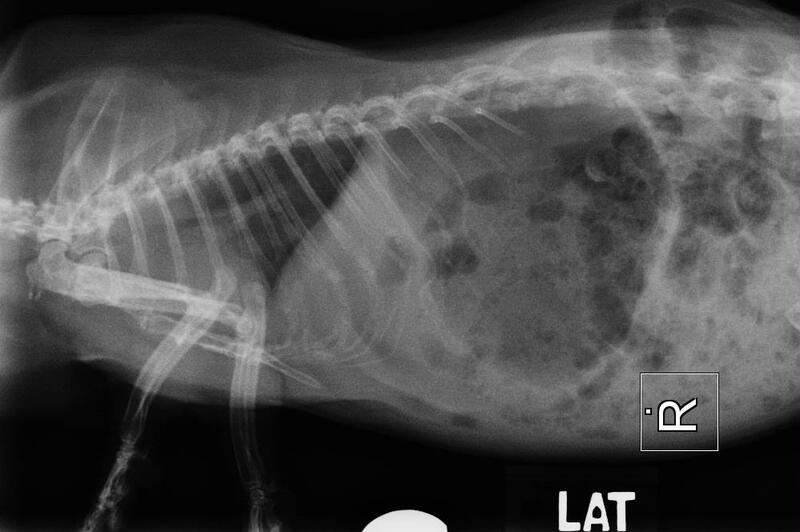 I wouldn't call it bloat but neither would I call it completely normal ingesta. They do that. They decide their own friends. 5 Days of Metacam, he hasn't complained. Except when I put him on the vibrating pillow. He doesn't care for it, that's for sure. The most he'll put up with is 10 minutes, then he starts getting vocal. I may have gotten 15 minutes one time. I still have to chase him down to pick him up. That means I have to at least clear enough floor to get to him 3-4 times a day. :o| Tonight after dinner I let him run into the carry sack and instead of taking him directly back to the cage, I took him into the living room and I watched tv while he huddled in the sack. I believe I held him for close to 30 minutes and 'lo and behold, with much cheek and chin stroking, I think he might have dozed off!! Never, never has he ever felt comfortable enough to even relax. He was most definitely relaxed this evening, didn't even struggle when we approached his cage, and he has ALWAYS done that. He didn't try to jump out of the sack when I put him close to the floor! He's the worst when it comes to trying to jump. (Medical, Granny, medical!) He might be moving a little easier with the daily metacam. The "coughing" has eased off since I started feeding him separately and he's definitely taking longer to eat, so that might have been what was causing the sound I think of as a cough. I can only remember one cough since I started feeding him in the kitchen away from the others. That's "remember". Should I continue the loved Metacam and disliked vibrating pillow? If it were me -- continue the metacam. It's possible he's relaxing somewhat due to pain being relieved. If his output is normal and he's not showing signs of stasis, quit the pillow. Thanks, Talishan. Peek would really love you!